SarnarSchourt Records presents a compilation fully packed with mind-bending night-time darkpsy and forest tunes, representing and uniting uprising and longstanding artists from Italy, Austria, Germany, Macedonia, and Lithuania. Listen to a colorful musical journey with a broad variety of styles and enjoy the abundance. 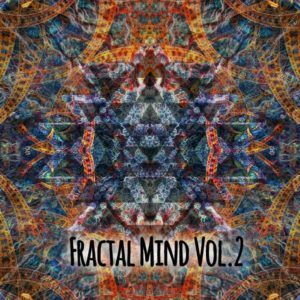 Following the slogan “same same, but different” Fractal Mind Vol. 2 is now ready for download! Mastering by Darko Velkovski @ Green Wizards. Cover art by SarnarSchourt Vision. MP3 Download | FLAC Download | WAV Download · Download count: 18,891.